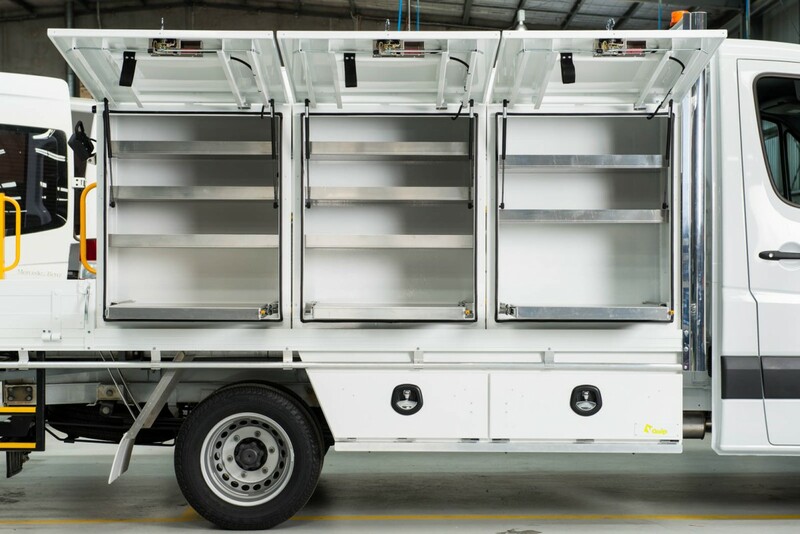 CFA has evolved from its informal beginnings in community-based fire brigades to become one of the world’s largest volunteer-based emergency service organisations. 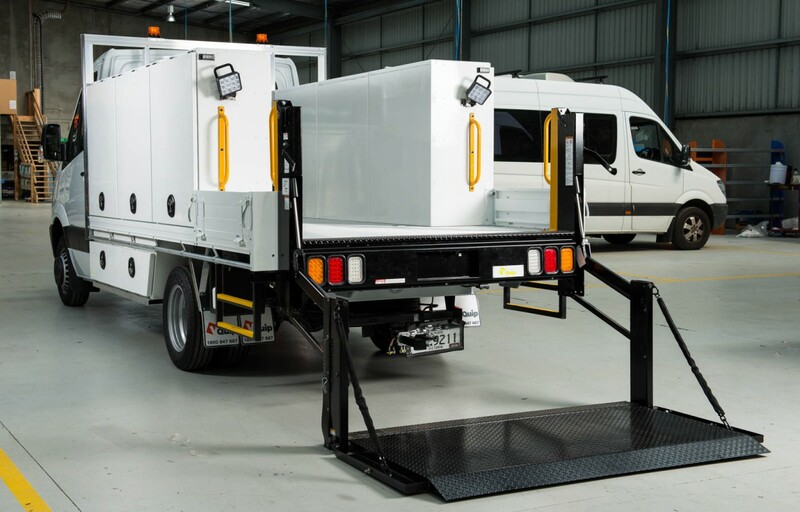 CFA relies on a range of fire stations and trucks to meet the needs of the community it serves, and there are many different types of appliances in CFA’s fleet ensuring that the firefighters can respond to different types of fires and other emergency situations. 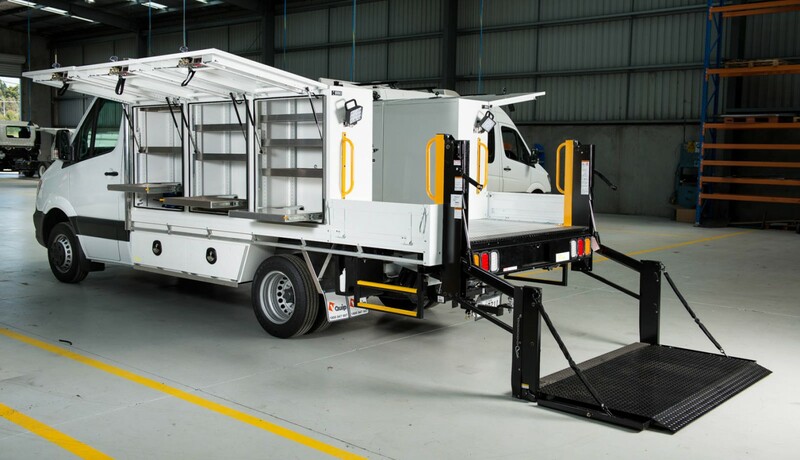 From tankers to pumpers to all-terain and aerial appliances, the fleet requires specialised servicing capability to ensure they are always operational. 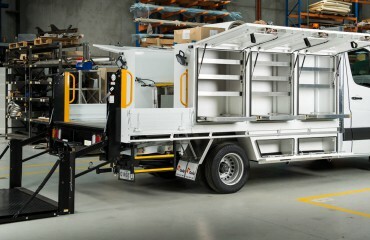 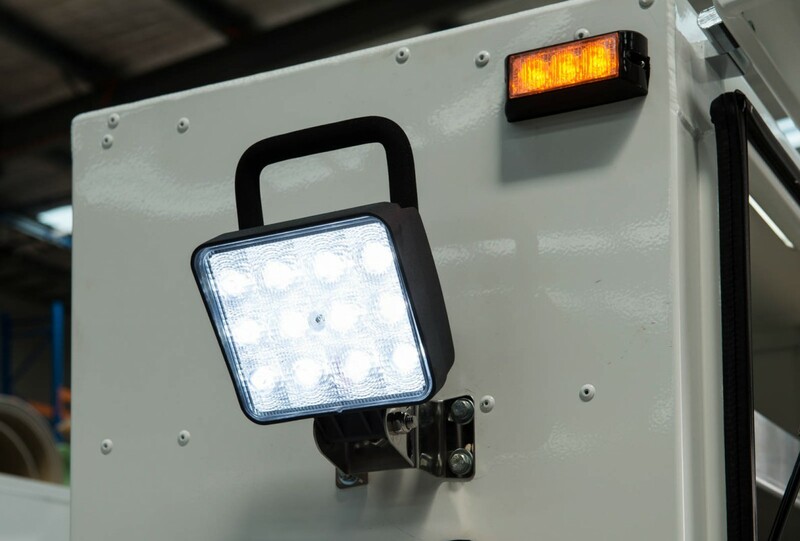 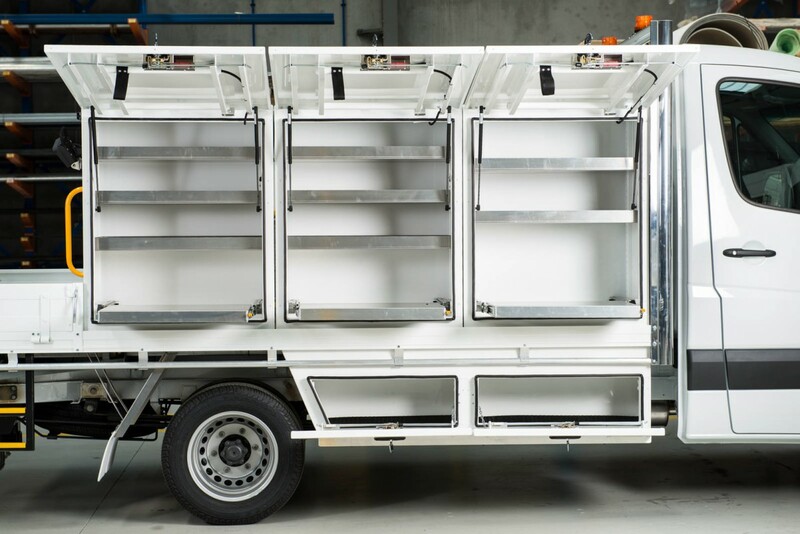 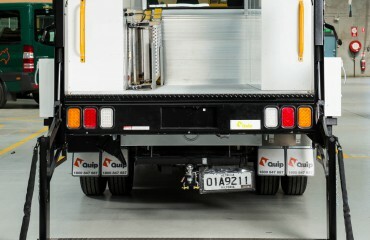 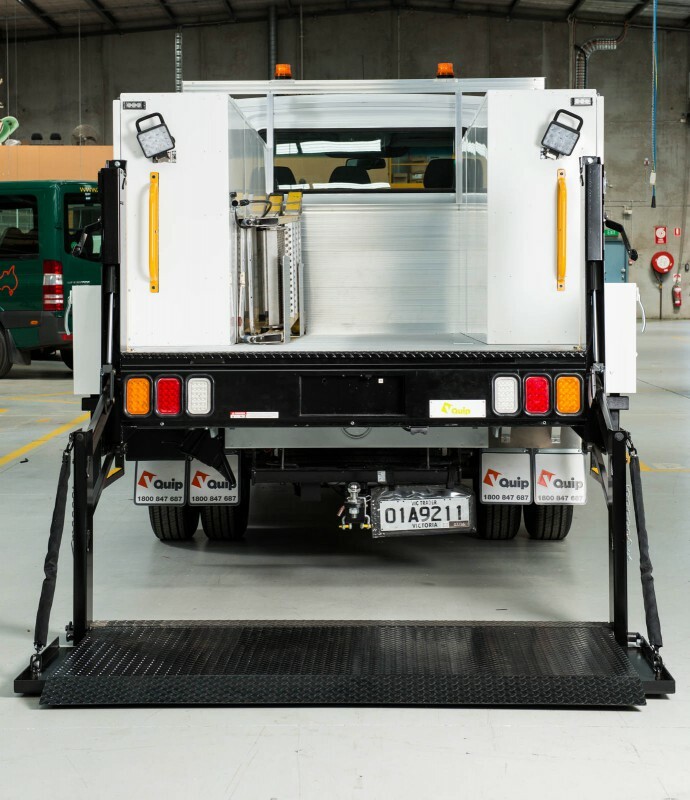 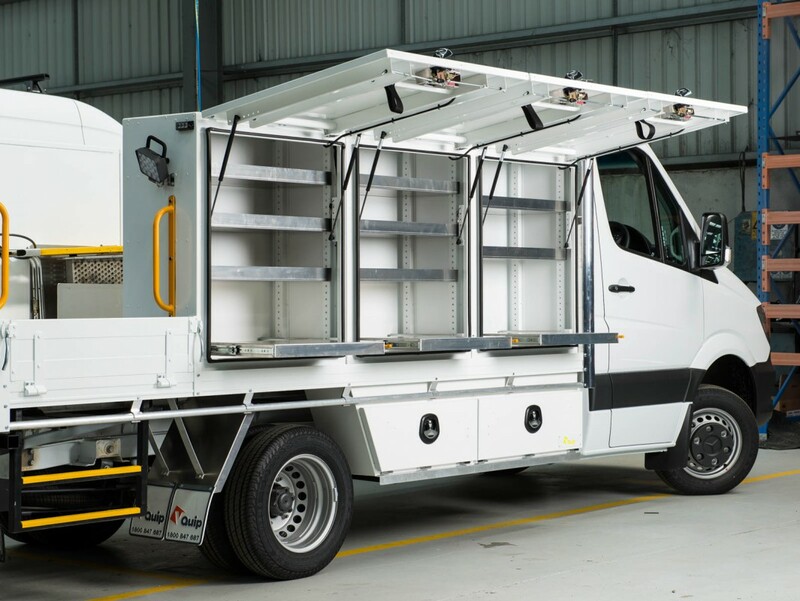 As part of a new strategy, CFA have decided to trial a maintenance program that uses a lightweight purpose build vehicle that can travel to the larger trucks and appliances to carry out repairs. 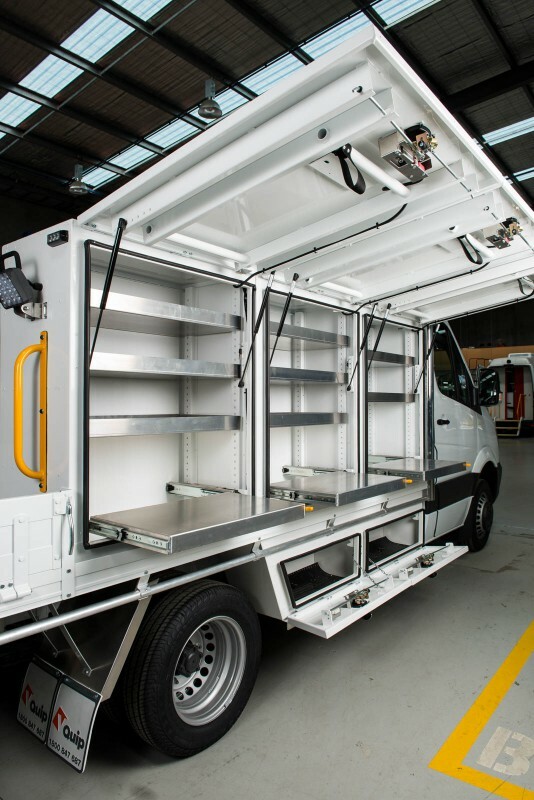 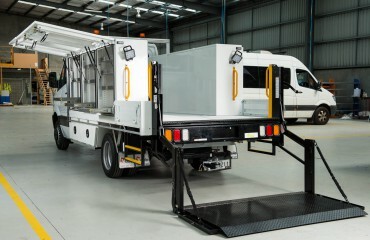 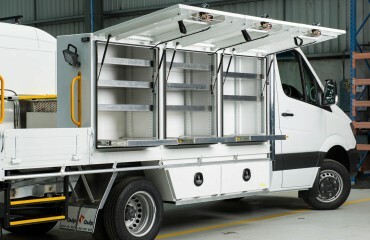 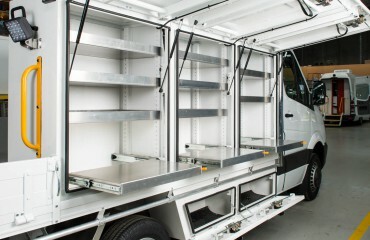 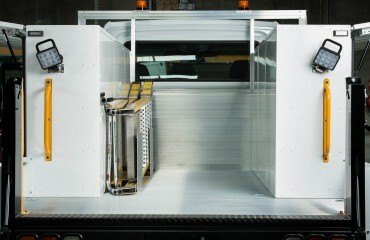 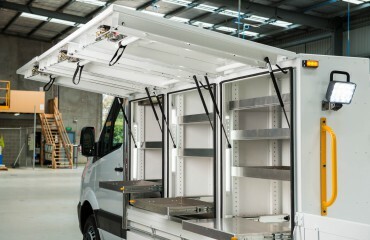 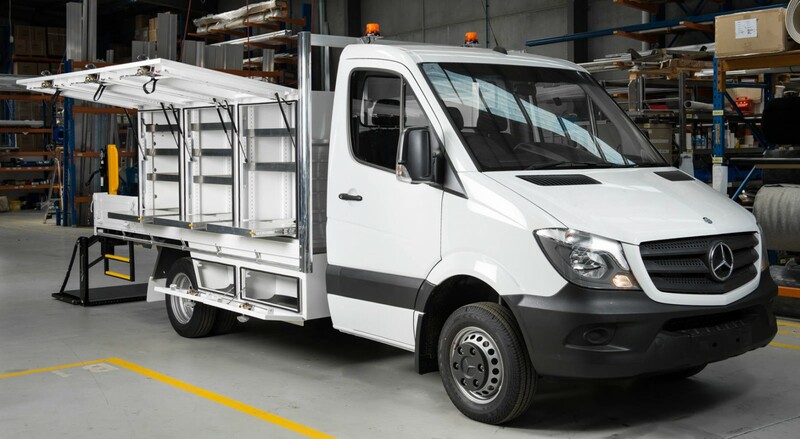 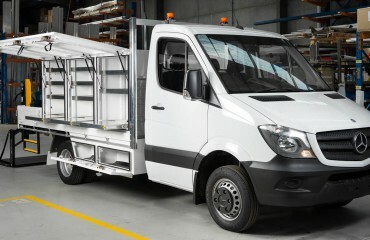 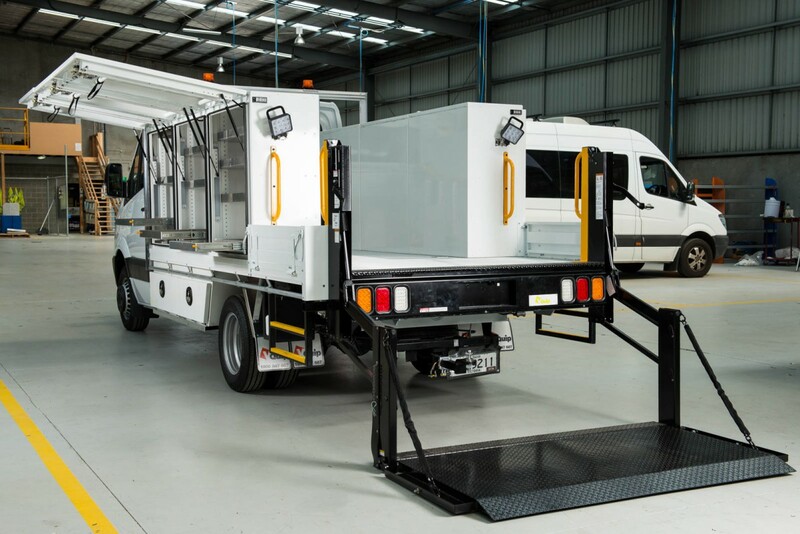 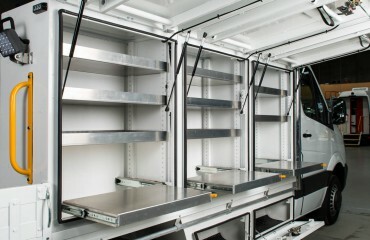 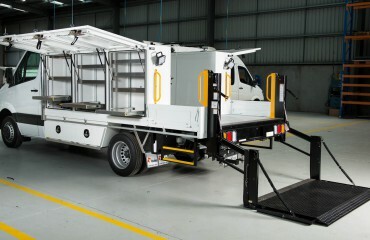 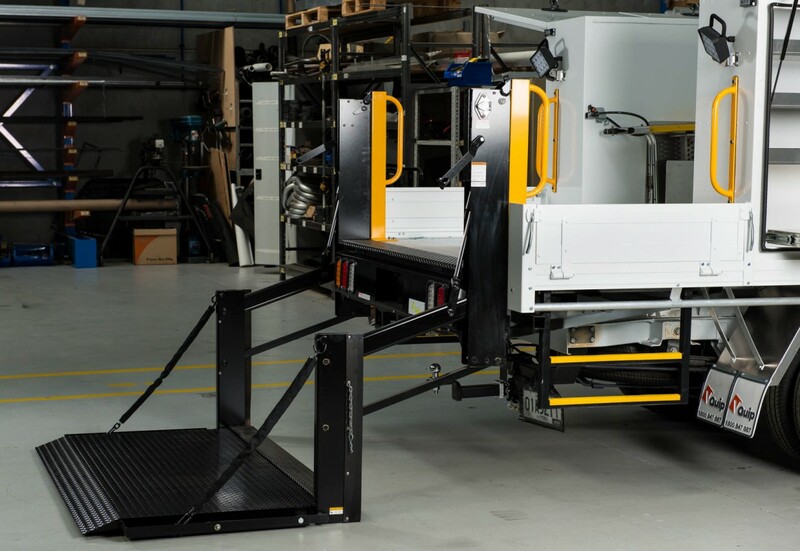 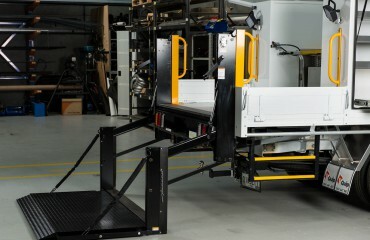 Based on previous experience, VQuip recommended the Mercedes Benz Sprinter Cab chassis as the ideal platform to build on. 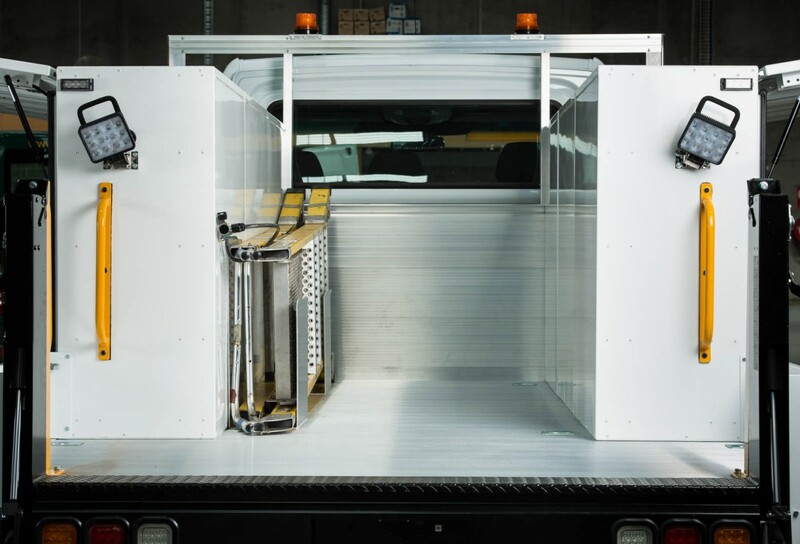 This combined with the proprietary 4 tonne aluminium tray system ensured a lightweight construction with excellent payload capacity. 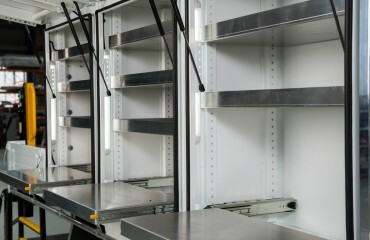 The fitout has been entirely purpose built from the tool boxes with adjustable shelving to the pull out work benches and dedicated uniform storage. 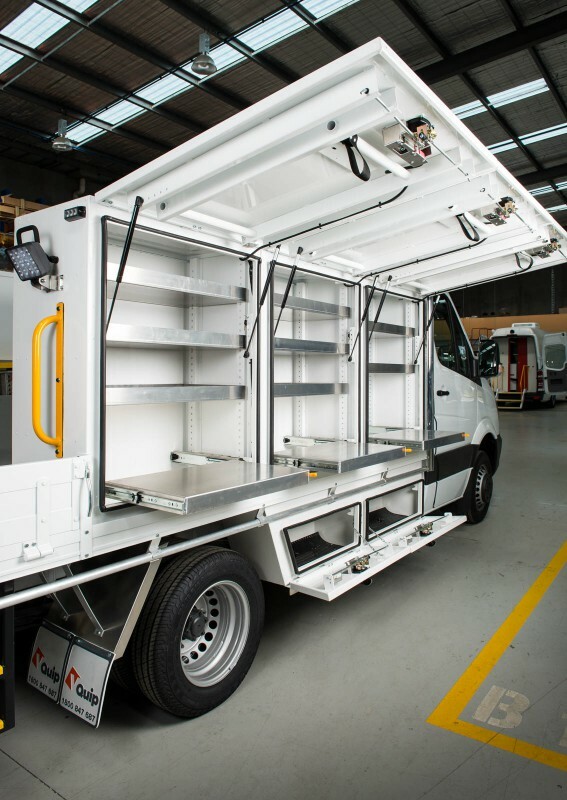 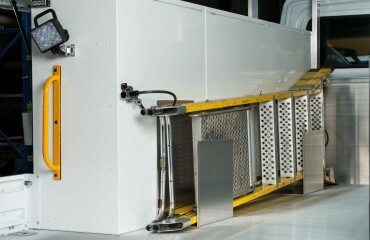 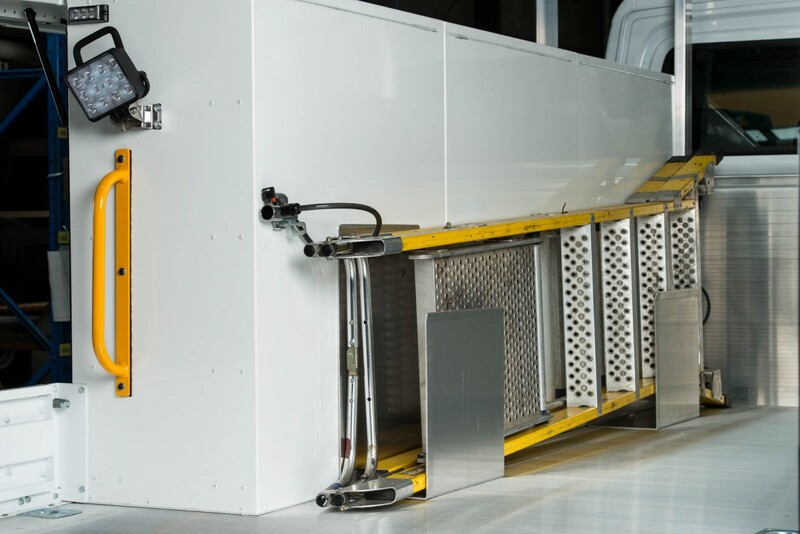 Each element has been meticulously designed and constructed by the VQuip team even down to the central locking securing all tool boxes. 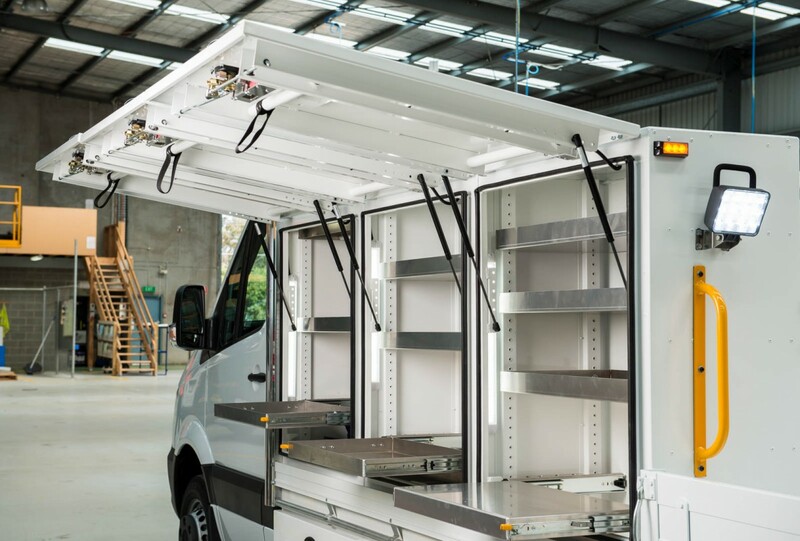 The rear of the van has been fitted with a hefty 550kg tailgate lifter which can be used even at night with the support of high intensity exterior lighting and importantly all of the this functionality can be run off mains or generator power. 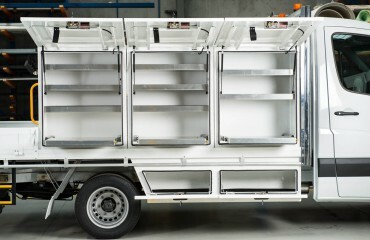 So as CFA grows and tackles more diverse emergency situations they can be assured their equipment is ready to go.